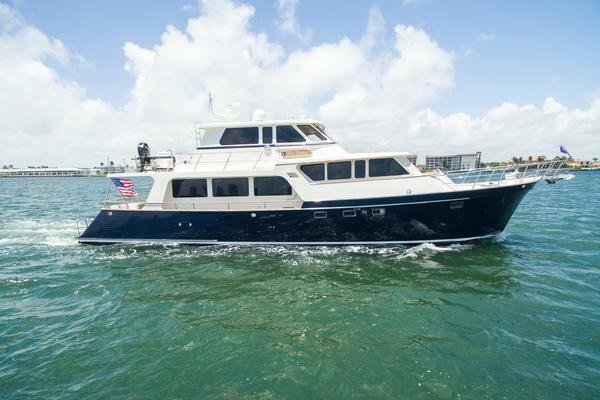 The Horizon 73 Motor Yacht is a high quality yacht with a sleek stylish design. She has a three stateroom layout with crew quarters. Blind Faith was maintained by a full time captain that kept her ready to go at all times. The yacht has new electronics on both upper and lower helm stations and new Isenglass bridge enclosure. 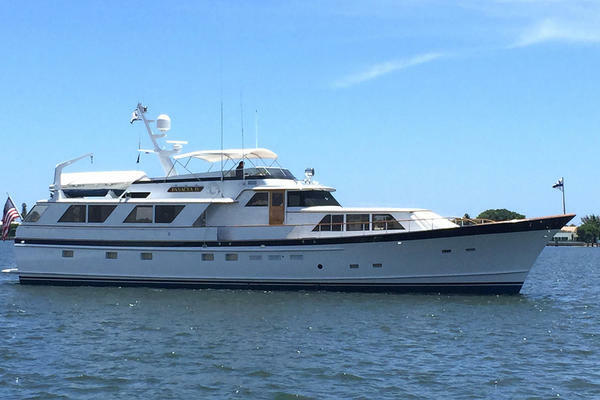 She is equipped with a large Novurania tender and a six man life raft that has just been serviced. This yacht was prepared for a long range trip to Alaska when the owner decided on a larger yacht. • Danforth Type Anchor 8# Est.